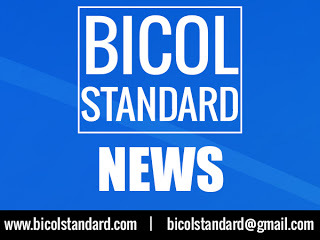 TIWI, Albay 12/17/16 (Bicol Standard) –A 7-year-old boy who attended a Christmas Party this morning has been reported to have drowned in a swimming pool. The victim, identified as Ace Jay Encanilla y Cuario, was accompanied by his father, Manuel Escanilla Jr., when they arrived at the Tiwi Spring Resort, at Brgy. Naga, here. Initial investigation reveals that the Christmas gathering was initiated by the staff of Soliman Security Agency, Inc., which invited their employees in to attend the event. The victim who was separated for a while from his father was later discovered lying at bottom of the swimming pool. In an effort to revive the victim, he was rushed to the Gonzales Hospital, here. Despite efforts to resuscitate the victim, he has never responded to the first aid measure that was applied to him. Sunga, the attending physician, declared that he was already dead on arrival.